Nirmal P. Sharma has working experience in the formal and bridal as well as all kinds of professional party/prom/wedding dresses and jewelry business since 1998 . 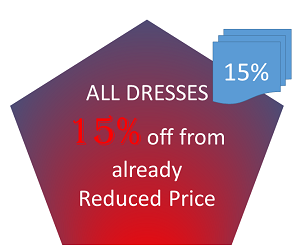 The Ladies Choice Fashion was awarded the best seller by magnificent dress manufacturer and this business has arrangements with professional people's for dress alteration at a reasonable cost . LCF business has contacts with almost 25 reputed manufacturers so the real buyers has the option to choose dresses from almost more than 1000 styles . Orders are carefully taken care with the best delivery time . All the dress sold at LCF are best of quality.. Return policy as printed in our invoice is as per the company policy stated in our invoice. Ladies Choice Fashion Online is located at Bowie MD, 20720. Ladies Choice Fashion Store is located at St. Charles Towne Center Mall, Waldorf Maryland 20603. We strive to give you the best quality and best price on formal dresses for all special events. We have been in the formal dress business for the past 11 years. We have the best customer service in the industry.